I’m a constant re-evaluator of my parenting…to a fault. It’s a sickness really. It used to be much worse. For our firstborn, not only was everything new and unknown, be he was also colicky & had reflux which added to our anxiety. It was sleep training that pushed me over the edge. I thought that I would consult the “experts”, do what they said and see success. Unfortunately, I read one book that said let him “cry it out” and the other book that said I am a horrible mother if I ever let him cry. So I would try one approach for awhile. Then when it didn’t seem to be working I would try the opposite approach. 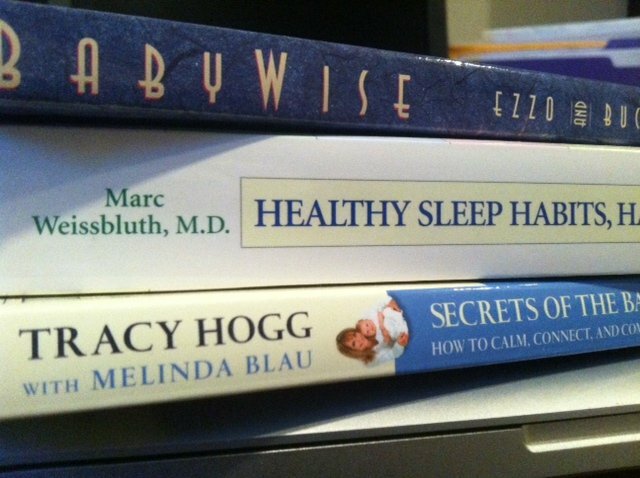 Poor firstborn child…the ultimate guinea pig. In my attempts at doing everything “perfectly”, my inconsistency and lack of conviction was actually the real problem. Now as I’m about to have my 4th son I enter the newborn stage with more confidence. We have our sleep training philosophy figured out. We know where we stand on pacifiers, nursing, swaddling, etc. But each day I still have to make new parenting decisions in regard to my oldest. I still lack true parental confidence. I was particularly struck by the way the French parents approach parenting with calm confidence. In the past few months (most certainly pregnancy related) my tone with my boys is either harsh, whiny or defeated. When I use a harsh tone (usually to cover up my feelings of inadequacy when things get chaotic), they react with their own harshness and stubbornness. When I make a request in an overly emotional tone, I lose my authoritative edge and it opens the door for negotiation and arguments. There is no perfect way to parent. Yes it’s good to want to do your best and most likely I won’t stop reading from “experts”. I need to be confident. But not with a confidence that comes from knowing the perfect way to parent. 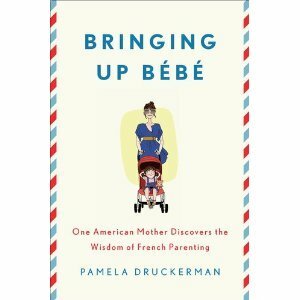 If I truly function as a God-centered mom, I could be superior to French parents. I would be confident that no matter how often I fail or make the wrong parenting decision, God is gracious. God has a big plan for each of my boys, no matter whether I am the best or the worst parent He is an even bigger God. His plan will prevail. I need to do my part to love God first. Seek Him in prayer. Love my children well. Let God fill in the gaps. When I set a boundary with my boys my tone doesn’t need to be harsh, whiny or defeated, I can be calm & confident. My confidence comes from the Lord. You would have loved the John Rosemond seminar. He likened the immense amount of parenting books to the tower of babel.. Which has today’s parents confused because we are looking to psychiatric methods to parent (and have relationship with) our kids instead of leading them like they did in his mother’s generation. He asked us to consider leading our kids rather than persuade them (too much talk, too much emotion, too many methods). It was really quite refreshing and freeing! If you are willing to look at one more book, his will turn previous thinking more sideways than anything I’ve read. As an aside, he comments on the French, mentioning that none of his books have been translated into French. Like his mother, the French still take authority seriously when it comes to kids. I’m so sad to have missed the seminar…just not great timing with my weekends pre-baby being “numbered”. =) I have started to read his book and I think it influenced this post (indirectly). It is freeing to know that the “guilt” researchers and psychologists of the ’60s til now put on parents is unnecessary. Nice to rely on God to fill in the gap. To love our children but not hyper-parent them. Interesting to hear that the French have not latched onto his parenting…wonder if it’s the “spiritual” aspect? Thanks for sharing misty!! Good job for you always striving to be better. I want to point out that these experts have never met your boys. They can only tell you what they’ve learned while observing other kids who may be the same age, but have different DNA, chemistry, parents, backgrounds, etc. Do you want your boys to speak to you in defeated or whiny voices? Do you want them to parent your grandkids that way? This is the perfect opportunity for you to focus on yourself instead of your kids, ie, what can you learn about yourself and change from within? Be the model of that behavior for the boys. You are not responsible FOR your boys, you are responsible TO them. We don’t need to control their behavior or reactions. We need to control ourselves. This goes along with the Serenity Prayer. As parents we believe we can control our kids, but it just isn’t true. Can you control your husband’s actions? That belief is a recipe for defeat. So, focus on what you can change instead: yourself. There is a book speaks about this. Let me know if you’re interested. Thanks Princess for your thoughts! agree with everything you said!! Heather – I loved this post. Thank you so much for being transparent and for saying things about parenting that we probably all feel like. I was recently reminded by my father that our youngest is not practicing first time obedience, and I had kind of become blind to it. Always a good reminder to go back to the basics. Keep it up – you’re doing a great job, and your oldest looks great! This is such a great post. I completely understand that pregnancy induced crankiness. Thanks for the reminder to speak calmly and confidently to my little girl. Beautiful, insightful post. I’m in the midst of teen parenting and your comments are just as relevant for that older age group. Glad to have found your site and encouraged by your commitment. God bless you and your new baby boy.